A way of traveling through the museum space: Blow away an empty art description paper and follow it around. 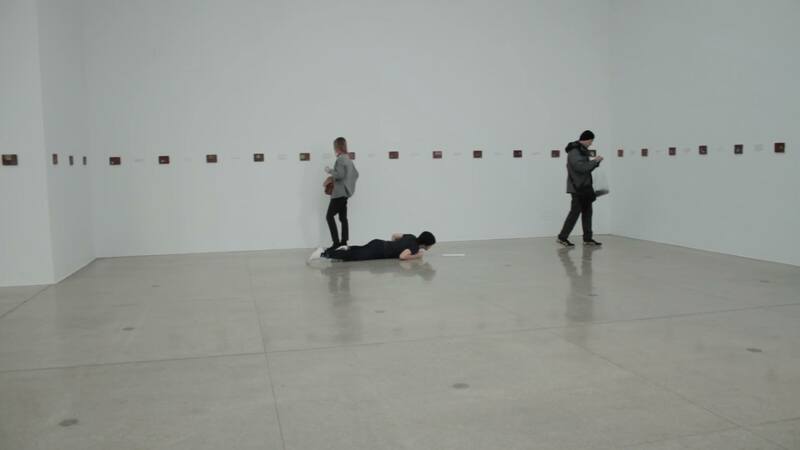 Visitors tend to approach the description paper in a different way to the exhibited art works or the museum space. The approach is physical and alters the kind of connection visitors have to the space and the exhibits. 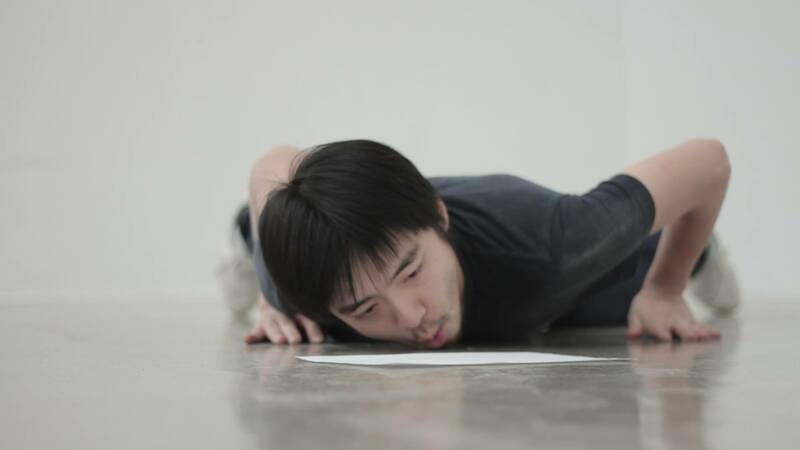 While in following the description paper, which is sailing randomly through the exhibition space, only forced to the ground by its body weight and the smoothness of the paper flow, the ‘viewer’ takes a different course through the space. This poetic access softens the meaning and the function of the description paper.